A public symposium on the US Farm Bill 2018: Policy, Politics & Potential, was held at American University's School of International Service on March 28, 2017, from 8am-4pm. This event, co-sponsored by Berkeley Food Institute, marked the first time that academics, civil society leaders, policy-makers, producers and the general public were able to present and discuss original research both on and for the US Farm Bill, across and beyond disciplines. Students Amber Orozco and Alexandria Ward along with Professor Garrett Graddy-Lovelace presented their paper entitled “Bridging the Struggles of Urban & Rural Discrimination: Cultivating Solidarity--and Sustainable Agriculture” at the annual AESS conference, hosted by American University. This paper explores theoretical foundations and mainstream conversations on the dichotomization of rural and urban agri-food systems--and how urban and rural foodscapes have been pitted against each other in Farm Bill debates and funding. Our paper aims to contextualize social equity initiatives underway in rural and urban sustainable food realms--so as to discern and bridge the parallels. Our research seeks to bring urgency to conversations on racial representation to national agricultural politics. Our discussion of the history of structural racism in the United States Department of Agriculture, includes a map comparing the racial population distribution of County Committees in the United States to the racial populations of the farmers in those counties in 2013. This map is supplemented with semi-structured interviews with farmers and activists who share their experiences with racial discrimination from the USDA. Professor Garrett Graddy-Lovelace and students Michael Bard, Kat Diersen and Leah Germer presented at the annual Dimensions of Political Ecology Conference. This informal workshop explored the intellectual heritage and the current need for community-based, participatory action-research methodologies in international studies research. It created a forum wherein scholars from across disciplines (from policy studies to geography, communication to public health) and civil society-leaders shared their experiences in collaboratively designing, implementing and disseminating robust research on pressing social issues. The Rural Coalition Winter Forum (RCWF) is the annual meeting of farmers, ranchers, and fishers from the Americas to establish an advocacy agenda for the upcoming calendar year. 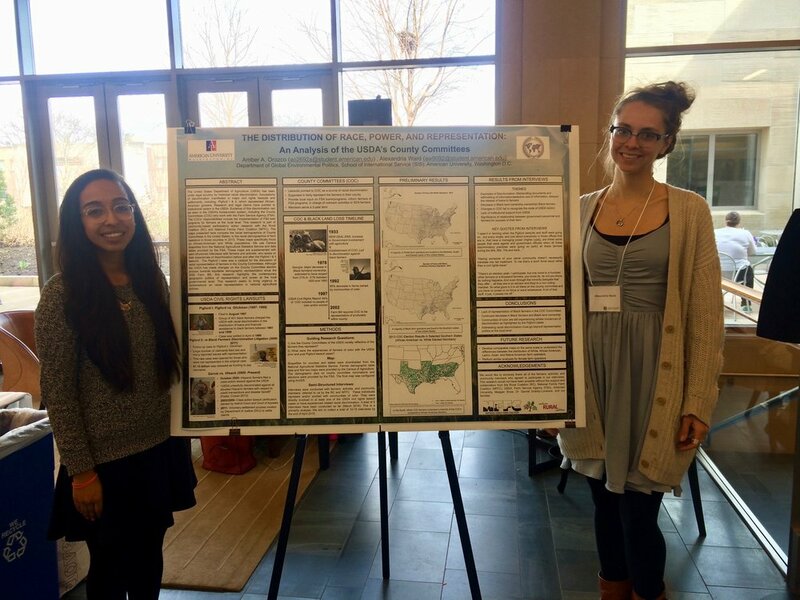 AU graduate and undergraduate students who have conducted original research on some aspect of food and agricultural systems or policy presented their research at a poster session during the 2014 Rural Coalition Winter Forum. The Global Environmental Politics Program within SIS hosted a conversation about the (then) upcoming 2012 Farm Bill. 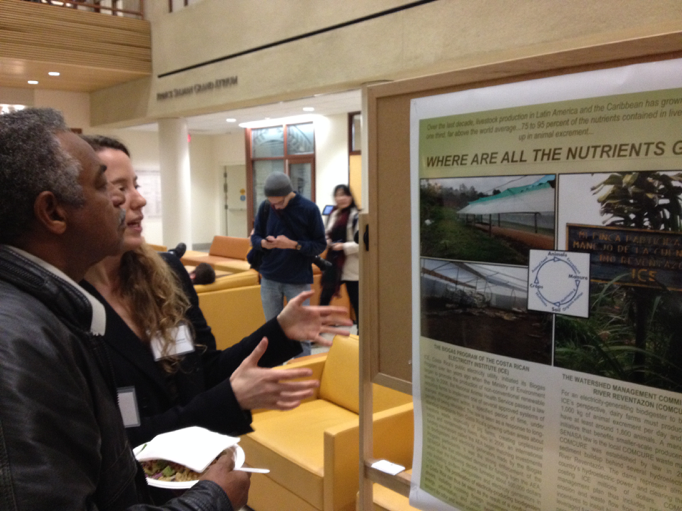 The symposium explored the national and international implications of the policy and its potential for cultivating socially just and ecologically sustainable agri-food systems.